In Sierra Leone, there is a dearth of information on urban livelihoods, and in particular on livelihoods in informal settlements. 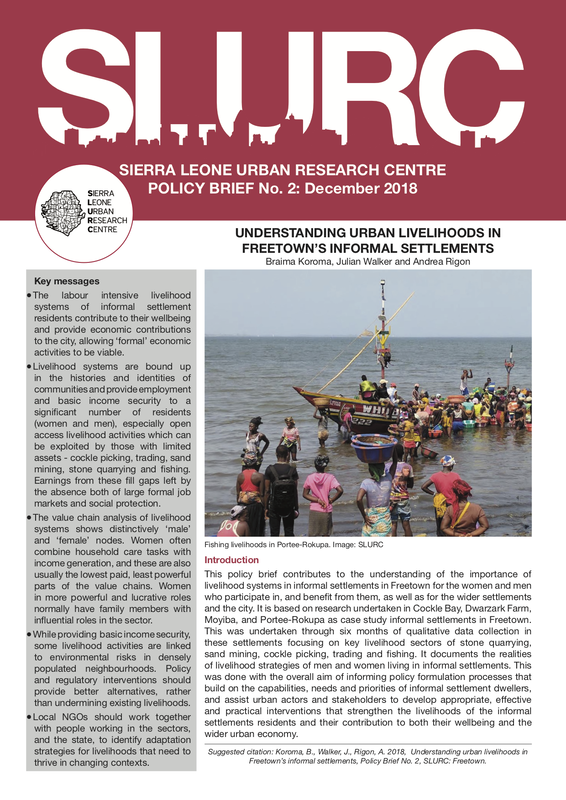 The Sierra Leone Urban Research Centre (SLURC) has studied urban livelihoods in four informal settlements in Freetown - Cockle Bay, Dwarzarck, Moyiba and Portee/Rokupa - to address this critical knowledge gap. The research focuses on a number of typical livelihood sectors in which informal settlement residents participate to enhance the understanding of livelihood strategies that women and men in informal settlements employ. It aims to inform policy interventions that build the capabilities, and respond to the needs and priorities, of informal settlement dwellers, and to assist them and other urban actors to develop appropriate, effective and practical interventions to strengthen the livelihoods of the informal settlements residents and the performance of the city economy. SLURC is pleased to be able to share a research report and policy brief on this research. 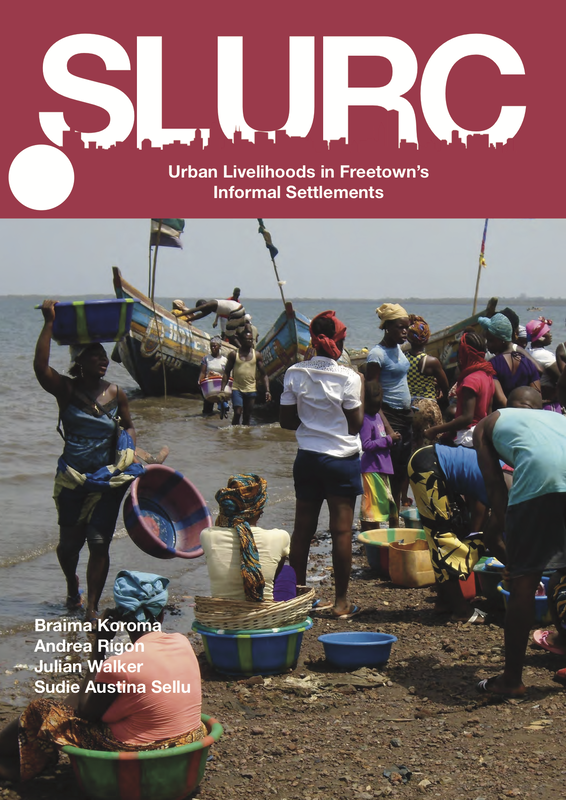 Key takeaways are the highly gendered livelihood activities of many informal settlement dwellers in Freetown, as well as the formal economy's reliance on such activities. We recommend that local government and NGOs work together with people working in the sectors, and the state, to identify adaptation strategies for livelihoods that need to thrive in changing contexts.